24/01/19 - Jersey Geopark Proposal. 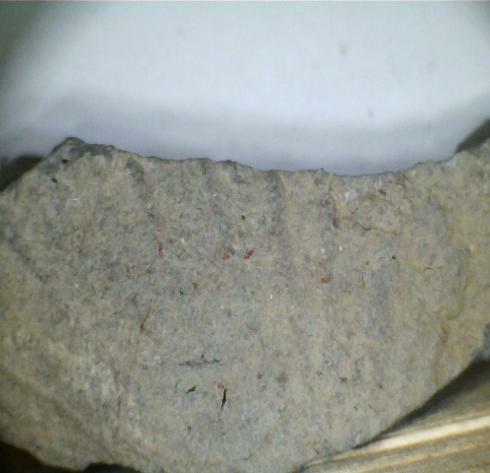 16/12/18 - Dolerite dyke found under La Folie. 01/11/18 - New Specimen Discoveries. Additional varieties of granite, adjacent to and within the area of the La Rocque granite, forming the sea bed and reefs around Seymour Tower in SE Jersey have been recently found by Dr. Paul Chambers. 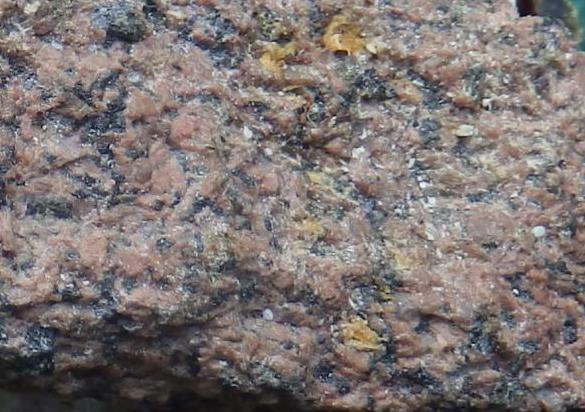 The first illustrated is a dark red, weakly foliated Intermediate microgranite (Fig. 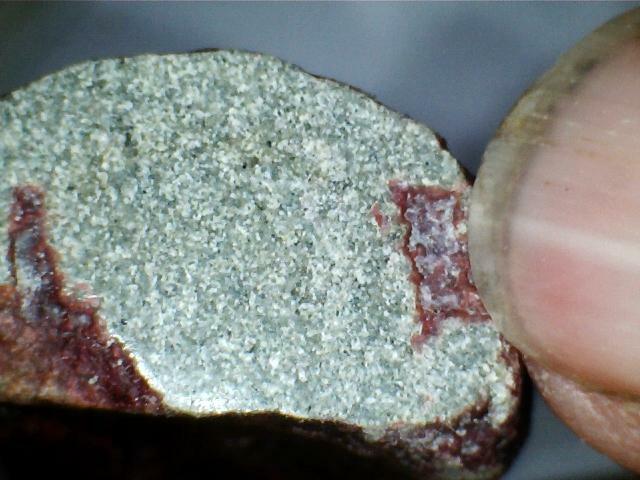 1), possibly a syenite. 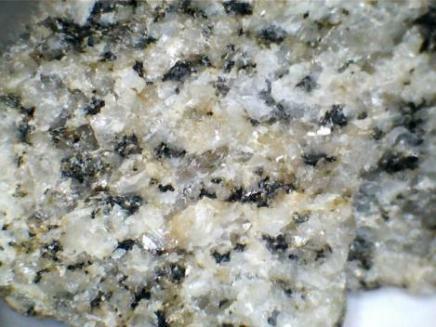 The second is a light grey - white, weakly foliated, medium crystalline, possible granodiorite (Fig. 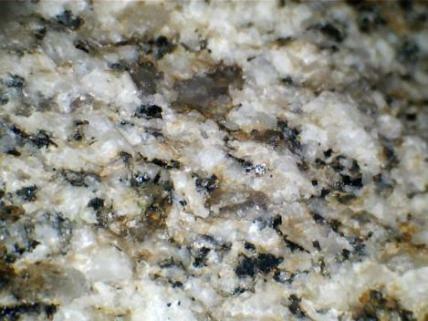 2), similar to the foliated granite in Les Minquiers (Fig. 3). The presence of the Jersey Shale and Rozel Conglomerate Formations has also been confirmed. 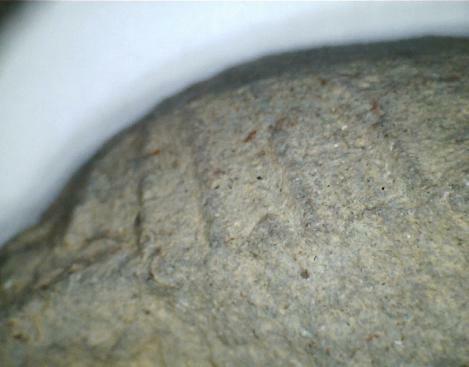 Two fossils of uncertain affinities have also been found. The first, showing ribbed exterior and speckled interior views (Figs. 1 & 2), found by a Geology Section member near La Motte. Fig. 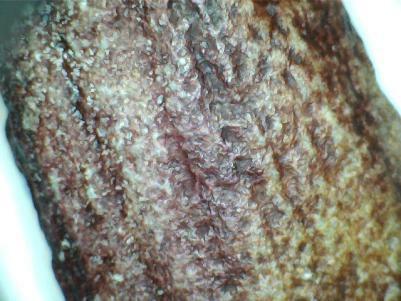 1. may be part of an antler, later silicified. The second may be part of a Brachiopod valve with widely - spaced ribs and crenulated margin (Figs. 3 & 4), found by an Archaeology Section member, in a recent excavation at St. Lawrence Church. Both are awaiting identification.